Having read grant Petersons excellent book Just Ride last week I have come to realize that I have in some ways I have taken my cycling far too seriously. As a former racer and something of a bike industry legend Peterson has a lot to say about cycling, it’s culture, norms and place within society, much of which surely pissed off some cycling industry veterans. What I took away from the book was tremendously valuable in my quest to get more involved as an advocate for cycling as a means of transport and in my efforts to eventually build a business and/or career for myself in the cycling industry. Among many other things Peterson brilliantly describes a fundamental problem with cycling in the US, which is that it is mostly a means of recreation rather than a lifestyle choice or a part of peoples everyday lives. This creates a self perpetuating myth that cycling is a “serious” hobby, best practiced in the appropriate uniform of logo covered Lycra and specialized shoes and headware worn as a complete ensemble of techno fabrics and ultra light polymer blended plastics. Because of the utter seriousness of it all people are discouraged from just casually hopping on a bike and riding it to the store or work or wherever they might need to go. In my experience Peterson is absolutely right. I myself am a somewhat “serious” cyclist with a collection of bikes for different purposes and a few Lycra items in my wardrobe. My recent efforts to encourage more cycling on the part of my friends and family, and most notably my oft mentioned significant other, have no doubt had an impact in the sense my friends are buying new bikes and Beth is taking my “one more journey by bike each week” mantra pretty seriously. Close friends however are the low hanging fruit of the cycling advocacy world and in considering how to have a broader impact I am asking myself what would enable the average person to gradually start cycling more? Almost certainly one of the big barriers is the “gear” issue and the fact that as this Dutch documentary on cycling in the he US puts it, “we all sort of look like we are racing even when we are just commuting”. You see even in the best biking city in the US only 3-4 percent of people commute by bike some of the time and a tiny fraction of our overall journeys are by bike. When I think about why this is I realize that us serious cyclists give others the impression that they need to get geared up for a bike ride. The shoes, the helmet, and if we are really going for it the full high visibility kit. When I think back to the early days of my cycle commuting, first in the US and then for a number of years in London I realize that one major difference is that I did not get “geared up” to go riding. If it was cold I payed a bit more attention to my layers and I was almost always prepared for rain in London but beyond that I just hoped on my bike in whatever I happened to be wearing at the time and took off. It is in those moments and on those journeys that one experiences the true joy of cycling. Screw the wardrobe change! 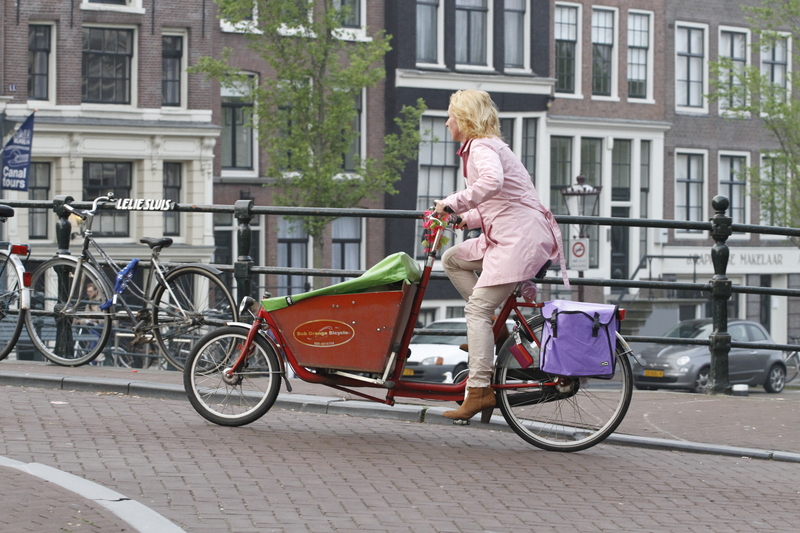 Just once per week, hop on your bike and ride it to the store rather than jumping in your car. On one day per month plan for the extra half hour each way and cycle to work. You don’t need a high visibility vest or a change of clothes or special shoes, trust me, you just need to be able to give yourself a little extra time so you can enjoy the ride. As the saying goes “melancholy is incompatible with riding a bike” and I guarantee that with the right attitude you will find that the slower pace of the journey and the time it allows for thinking, or not thinking, is the sort of thing that enriches your life. When you commute by bike you look at people in cars differently. Based on the look on their face the average commuter is obviously suffering as they slog along in traffic, check their emails and eat their breakfast in a cluster scramble of activities all humped together into a life that is moving too fast for them to even comprehend, let alone enjoy. If there is one piece of advice that is universally good it is probably to to slow down and take it easy. Stop following that car in front of you so close, stop expecting your kids to be ready to leave on time, stop telling yourself that you “don’t have enough time”. There is is plenty of time to enjoy life and give yourself the opportunity to take a leisurely ride on your bike. I am as guilty as anyone of going too fast. Last weekend I found a super cool cruiser restoration project to work on with my daughter and on her first ride of the bike I took off going so damn fast that her first experience was ” oh my god this thing is slow and heavy”. I am the adult here and I should have known that a 50’s steel beast would be way slower than her modern Aluminum city bike and I should have slowed down so she could enjoy that first ride. But alas I learned my lesson and she has to put up with my stupididjty because I am the one in charge. This weekend we will be tearing it apart to get the wheels rebuilt with lighter rims and prep it for a full on purple and pink girl crazy paint job because my daughter is a genius rock star amazing young girl who deserves to be able to customize her bike however she wants and it is my job as a father to help her and encourage her to be as creative as she can possibly be. When it is all done we are gonna cruise around the lakes so slow people might think we are going backwards and hopefully my daughter will love the actual bike as much as she initially loved the idea of a bike that she could customize to her liking and enjoy riding. When I think about what it means to “love” cycling I am hoping that I can rediscover and exemplify the pure joy of a ten year old girl riding a pink bike that she painted herself. That is some serious cycling.